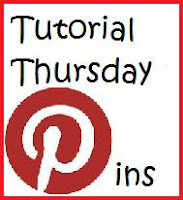 I am excited to announce my new Tutorial Thursday Board on Pinterest. Well, those of you who are featured each Thursday now get their posts pinned as well, isn't that cool? 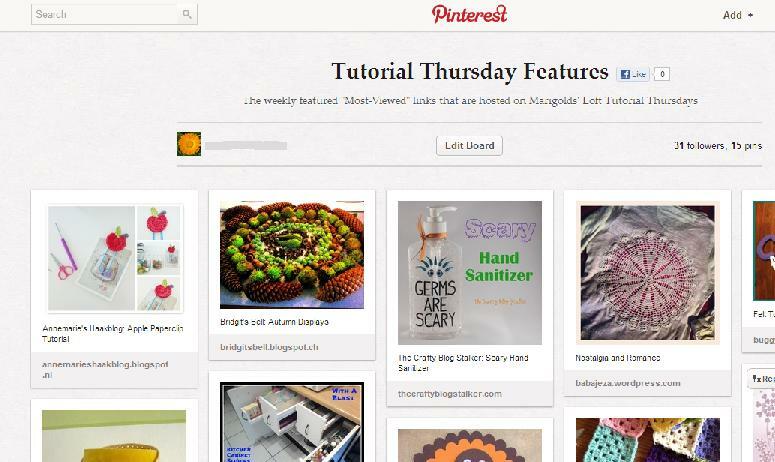 You haven't linked up yet......hurry you still have time, I would love to feature your crafts too. Click HERE and join in the fun.